I’ve been doing the fighter of the month feature for a few months now and I’ve featured Up and coming fighters and even featured trainers. Since we’re at the close of 2004, in review of what was in my opinion, a late starter in terms of great fighting, I would like to give this fighter the accolade of not Fighter of the month, but fighter of the year, some may even argue that he is fighter of this decade. 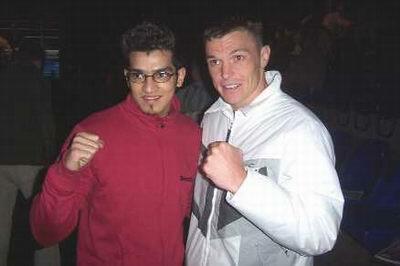 His accomplishments include being crowned IMF world champion, ISKA world Champion, 3 times King’s Cup Champion and S-1 Champion as well as being amongst the elite in the Superleague and K-1 Max, John Wayne Parr has established himself as the force to be reckoned with in Muay Thai. 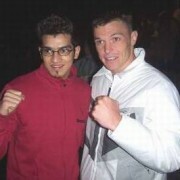 With a fight record of 72 fights, 54 wins and 27 coming by the way of knock out, John Wayne Parr has had in my opinion a great year. A lot of people reading this may disagree with my choice of fighter of the year. What about Buakaw Por Pramuk or Remy Bonjasky? Well, great fighters they are indeed, but when you mention the names Buakaw, Bonjasky and John Wayne Parr… I’m sure 99% of you will go “Ahhh yes, John “Wayne” Parr”.